TUMWATER – If a fight breaks out behind prison walls, Christopher Newton tries to get to the bottom of it. The task can involve questioning some of the most dangerous criminals around — members of rival gang members such as the Bloods and the Crips and the Norteños and Sureños, for example, — to figure out what happened and how to prevent it from occurring again. It’s all part of a day’s work as an investigator for the Washington State Department of Corrections’ (DOC) Special Investigative Services Unit, part of the department’s Intelligence and Investigations Network. In addition to responding to incidents, such as multi-inmate fights, Newton and his colleagues also provide training, identify safety and security issues, investigate allegations of inmate crimes in prison and assist local law enforcement with investigations as needed. For example, one of Newton’s responsibilities is to monitor inmate Security Threat Groups, (STGs). An STG member is anyone who could potentially compromise the security of a prison, such as gang members. In recent years, the DOC has taken measures to keep prison violence among STG members at bay. One way the DOC does this is through how it integrates STG members. Inmates who are members of rival STG groups are never housed together at close custody facilities. At all minimum security and most medium security facilities, rival STG groups may be housed together. This gives the DOC a greater variety of housing location options for the inmates and opens up the types of rehabilitative programs available to inmates. Additionally, it gives inmates more opportunities for visits from family members. This helps the inmates receive the programming they need and learn to coexist without causing violence toward each other or staff members, Newton said. Investigators also take other steps to ensure the safety of inmates with former STG affiliations, particularly those who have been dropped by their groups, or want to leave on their own. Newton can direct them to transition programs, such as “Thinking For Change,” a class designed to help inmates change their behavior by teaching them how to react to difficult situations faced in everyday life. Newton also works to keeps inmates with STG affiliations from communicating with other STG members outside of prison by screening their mail, phone calls and messages sent to the inmates though JPay, an electronic media tool inmates can pay for to receive email. Given that a critical incident could occur at any DOC facility at any time, Newton must be ready to go at a moment’s notice. “Every day, at any time, we could leave our families to ensure order is restored back to the facility,” he said. Just last year, he was deployed from the department’s headquarters in Tumwater to assist with the investigation of six multi-inmate fights at state prisons, one of which involved more than 100 inmates at the Washington State Penitentiary in Walla Walla. When called out to investigate, Newton stays at the facility anywhere from three days to a couple of weeks. 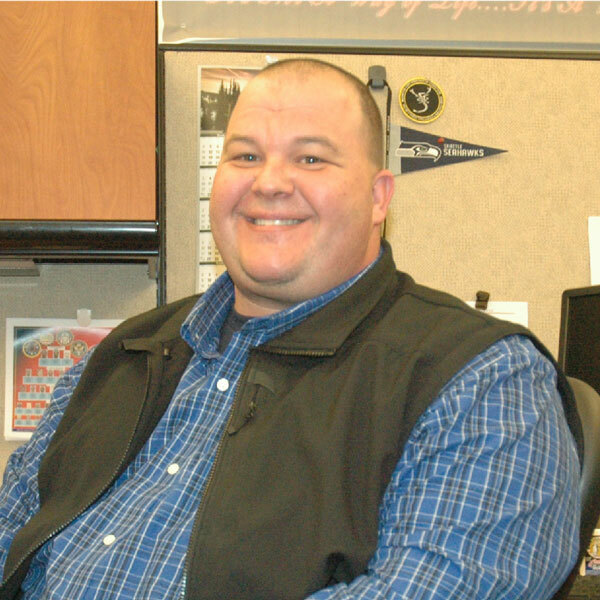 Prior to working in Intelligence and Investigations, Newton worked for two years as a corrections officer at Monroe Correctional Complex, and for nine years in Mason County as a police officer. Over the years Newton says he’s learned a lot about interacting with inmates to determine their intentions. Communication is often the key to finding out which inmates want to improve their behavior and which ones are up to no good. “You give them respect and 90 percent of the time, you get respect back,” Newton said. Newton’s expertise is apparent in his work, according to his supervisor, Chief of Investigative Operations Ruben Rivera, Jr.
Last year, the Intelligence and Investigations Network handled approximately 776 cases. Rivera says keeping up with that workload wouldn’t be possible without investigators like Newton. He adds he relies on Newton’s expertise to help place inmates in in the best location in prison that is conducive to addressing their behavior while taking proactive actions to reduce prison violence.